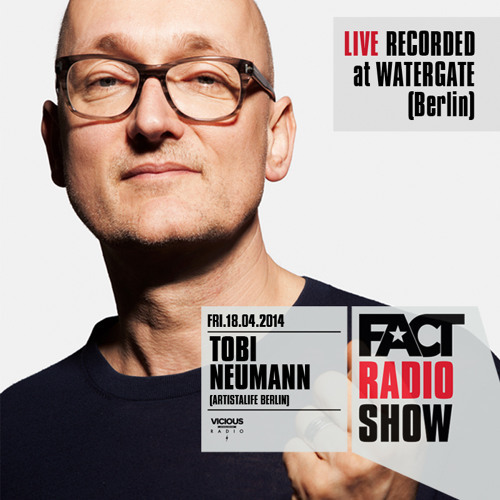 This mix was live recorded @ Watergate specially for FACT on the 16.04.14 "Thanks to the Watergate crew for opening their lovely Waterfloor to me so I could record the mix under "club-conditions". It‘s done with 2 Turntables, 2 CDs and a Xone 92. No computer involved" Tobi Neumann.